Manila Clams are a great substitution for Thai Hoy Lai Clams. Manila Clams have thicker shells but the flavors are very comparable. You will find the manila clams at most Asian market with live seafood tanks. 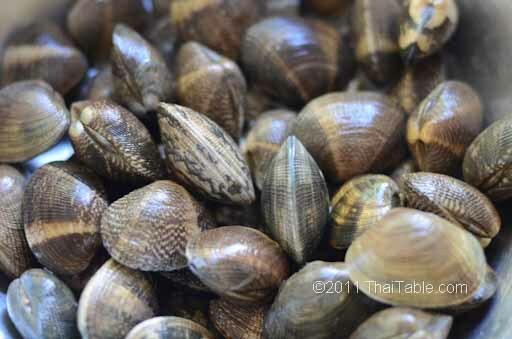 In Thailand, there are many types of clams that you don't see here in the US. For example, there are regions of the coast line where people harvest and sell razor clams. If you visit these places on the coast, you can buy fresh or dried razor clams by the kilo from vendors who bring them in huge rattan baskets on the back of their bicycles. 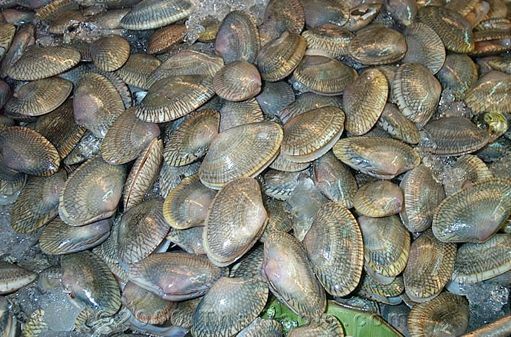 Different regions of the coast line are famous for different varieties of clams.